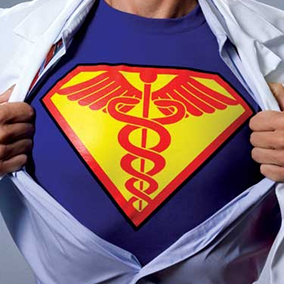 Today is National Doctor’s Day (and on every day), we salute our real-life superheroes – physicians. The modern care setting is an environment punctuated by constant change and unending interruption. Physicians are relentlessly disrupted by overhead pages, phone calls and text messages. In addition, they have to stop what they’re doing to hunt down the information they need to complete the task at hand. Maybe they need the latest on-call schedule, so they can order a consult from the specialist on duty. Or, maybe they need to find an open workstation, so they can log into the EMR and get the latest lab results for a patient before making a care decision. Imagine if Superman had to deal with all these interruptions and extra steps – Metropolis would be in big trouble! While experts suggest that the best way to be productive is to focus on one task at a time, without interruption, physicians don’t have that luxury. They are responsible for human lives, and some interruptions are critical. While we can’t remove interruptions from the care setting, we can minimize them. That was one of the inspirations behind our extended PatientTouch capabilities for physicians. We wanted to reduce unnecessary interruptions caused by various communication mediums. We wanted to eliminate the distraction of managing multiple, disjointed devices and systems. We wanted to remove some of the technology-related frustration that causes clinician burnout. We wanted to help our superheroes get back to what they do best – saving people’s lives. 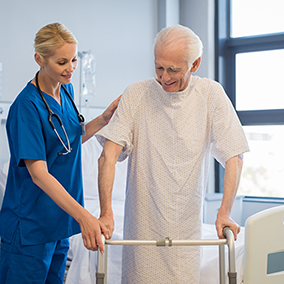 Provides instant access to all on-call or assigned care team members and specialists across the health system network – whether they are on PatientTouch or not. Prevents alert fatigue with customizable notification options, so physicians never miss what’s important, but aren’t interrupted by non-critical information. Drives timely response to critical messages with customizable reminders, read receipts, acknowledgments and forwarding. Protects physician privacy with a privacy dialer that masks personal cell phone numbers and routes return calls to the phone number of their choice. Enables secure communication with those not on PatientTouch via SMS paging. Provides continuous, reliable service wherever physicians are with seamless roaming across cellular and wi-fi networks. 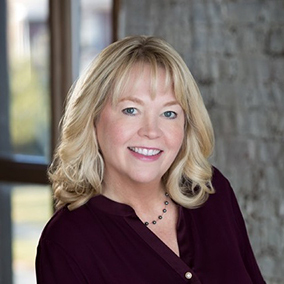 While we understand that creating a unified and fully integrated solution can be challenging, the data reveals that over time, developing a holistic solution, will not only reduce overall costs and increase your ROI, but ultimately, by selecting a scalable, integrated solution, your care teams will also be less frustrated, your information will flow, and your outcomes will likely improve. We can help you build that roadmap for the future. A unified inbox for quick message triage and response. One inbox prioritizes all texts, voice calls, critical results, alerts and pages. Reminders, notifications, and acknowledgments too. One-touch access to up-to-date clinical and patient information supports more efficient, safer decision making. To learn more, request a customized demo today! 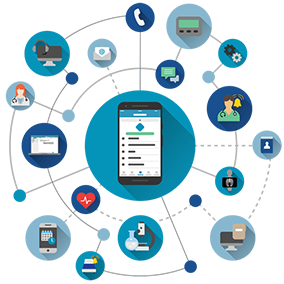 PatientTouch: One app. One device. One simple solution.